Hank Phillippi Ryan: Whoa. 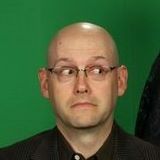 Brad Meltzer. I have to say—he’s cool. He’s funny, he’s smart, he loves comics and he has a TV show. And his books—well, two things. One: he’s written I don’t know how many number on New York Times Bestsellers. And two: he’s an inspiration. He says he sent his first manuscript, all those years ago, to twenty publishers. And he got 24 rejections! Why? Read on. And now, his newest book is out. THE FIFTH ASSASSIN –which Kirkus says has a “double whiplash bombshell conclusion”—is about—well, read on. If you attend one of his book tour stops, ask him about Batman, and he’ll love you forever. And leave a comment today—because two lucky winners will win personally signed copies of the FIFTH ASSASSIN—I’ll get them for you myself! Brad’s the king of research, too. You know what I’m gonna say. Read on. HANK: Hey, Brad. Welcome to Jungle Red. The Fifth Assassin sounds so tantalizing--did you find any evidence of real connections between the four successful presidential assassins? BRAD MELTZER: Hey, Hank. Hey, Reds. Officially, there have been over two dozen attempts to murder the President of the United States. Only four have been successful. Of the four men that succeeded, here’s what they had in common: Most of them weren’t drinkers. None of them did drugs. All four of them were surprisingly...and outrageously...neat. And none of them - except for that moment when they pulled the trigger - was ever identified as a troublemaker. Beyond that, they each planned their act for weeks. And of course, they were all blessed with patience. But when you lined them all up, the true cause of success came from the one attribute that can never be contained: All four were men with a cause. BRAD: Here's their real connection: You can divide assassins into two categories: Howlers and Hunters. The howlers threaten us by sending scary notes and calling in bomb threats, but the good news is, they rarely follow through. They just want attention, so for them, howling and making noise is enough. It’s different with hunters. Hunters act on it. They research, prepare, plot - and follow that path to a goal. But howlers aren’t interested in hunting. And hunters aren’t interested in howling. Needless to say, from John Wilkes Booth to Lee Harvey Oswald, all four assassins are hunters. HANK: Have there actually been copy-cat assassination attempts? BRAD: When Timothy McVeigh blew up the federal building in Oklahoma City, he was wearing a t-shirt that said Sic Semper Tyrannis. And back in 1994, a man named Francisco Martin Duran tried to kill President Bill Clinton by firing twenty-nine shots at the White House. But on his drive from Colorado to Washington, did you know he stopped in Dallas, Texas, passing the Book Depository…and that when he got to DC, he even stayed at the Hilton Hotel where John Hinckley shot Reagan? These assassins have never been forgotten. HANK: You’ve actually had former Presidents Clinton and George HW Bush help you with research for your novels. How was that? BRAD: President George HW Bush let me ask him some of the most macabre questions I’ve ever asked. I'll always ask him about little details about White House life that only he and a few others could possibly know. But asking a President about the hidden staircase in the White House Residence is different than asking him about what it's like to know that someone's out there planning your death. BRAD: Thanks to our TV show, I get the craziest email of anyone. Once, I had someone bring the Holy Grail to one of my book signings. The real Holy Grail, he insisted. So for The Fifth Assassin, I wasn't surprised when one of my longtime readers told me that I needed to come to a museum that almost no one knew about. I asked him what they had there. What made it so important? And then he told me: We have pieces of Abraham Lincoln's skull, the bullet that killed him, and even the bones of John Wilkes Booth...as well as the body parts of some other people I'd be interested in. The museum was run by the Army -- it's the National Museum of Health and Medicine. And yes, the government has all these items. You better believe I went there. HANK: Did you know what you were looking for at the museum for THE FIFTH ASSASSINS? Which came first, the plot or the info? BRAD: I had no idea that I'd be holding onto the bones of John Wilkes Booth or the brain or one of the other Presidential assassins. But when someone shares a brain with you, you pay attention. Needless to say, sometimes you plot the book, but sometimes, the book takes you for the ride. I also think, after recently burying both of my parents, this book had no choice but to be about growing up. HANK: Ah. Yes…Over the course of the past four years, you’ve lost both your parents. First, your mom to breast cancer, and then your father died suddenly. Can you talk a bit about the bond you shared with your parents and how losing them influenced the writing of THE FIFTH ASSASSIN? BRAD: My parents came from nothing and gave me everything, making me the first in my immediate family to attend college. Needless to say, as I wrote THE FIFTH ASSASSIN, I wasn't at all surprised to see that it was about...growing up. Burying them, I had no choice but to write about growing up. I didn’t plan it that way, but that's where the book decided I needed to go. I owe them way more than that. HANK: Your first book came out when you were 27. 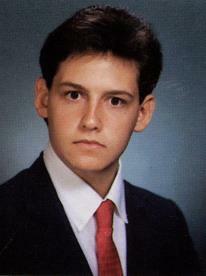 What would 42 year old Brad say to the young Brad now that you’ve had so much experience under your belt? BRAD: Enjoy your hair. Your hair is your friend! Also, when a reader brings the Holy Grail to your booksigning, run the other way. HANK: Aspiring writers are often curious about how bestselling writers make it. You received 24 rejection letters for your first novel. Huh? BRAD: When I started writing, my first book got me a quick 24 rejection letters. To be clear, there were only 20 publishers, and I got 24 rejection letters, which means some people were writing me twice to make sure I got the point. But I love those 24 rejections. To this day, when I sit down to write, I think of that moment when I got my 23rd and 24th rejections. It inspires me to start the day – and reminds me to never take any of this for granted. And I'll see you in a week or so in Boston at Brookline Booksmith! HANK: Ah, Brad, that’s wonderful. Okay, gang, questions for Brad? And don’t forget, two lucky winners will get personally signed copies of THE FIFTH ASSASSIN! Omg omg omg... this is too scary. I'll never get to sleep now. I can't even think of a question. I just want to know more about Francisco Martin Duran. His personality. His cross country trip. I was in grad school in 94 and missed the whole thing. My mother was right. I didn't watch enough TV. How about a brief synopsis of the book? Who's the protagonist? Looking forward to another good read, Brad. I'm curious about Clinton and GHW Bush; did you contact them or did they contact you first? All of your research is fascinating. Is the National Museum of Health and Medicine open to the public or only by special invitation? GREAT interview! I really need to start reading his books!! Squeeeeee! HUGE Fan Girl Moment!!! Jungle Red gets THE coolest guests. I cannot WAIT to read your latest book. ihopeiwin, ihopeiwin, ihopeiwin . . .
"But when someone shares a brain with you, you pay attention." The whole idea of Howlers and Hunters gives me the shivers. The Fifth Assassin sounds like a scary read. Mystery Writers of America just nominated Hank for THE SIMON & SCHUSTER - MARY HIGGINS CLARK AWARD. Congrats! So, assassinations? They really scare me. I am amazed by public figures, especially presidents, who are willing to go out every day into real danger. I taught at Sidwell Friends School when Chelsea Clinton was a student, and I saw how hard the Secret Service worked to ensure the family's safety. Somehow I have missed your books. After this interview (and getting sucked into your website for half an hour...), I'm off to remedy that; they sound great! JAck, here's some info on the book! Throughout history, there have been more than two dozen assassination attempts on the President of the United States. Four have been successful. Now, in the second installment of the Culper Ring Trilogy, THE FIFTH ASSASSIN archivist Beecher White is faced with a serial killer who is meticulously recreating the crimes of those four assassins: John Wilkes Booth, Charles Guiteau, Leon Czolgosz, and Lee Harvey Oswald. Throughout history, they have been branded as lone wolves, but Beecher soon begins to realize that the most frightening thing of all is what they have in common. As Beecher races against the clock to figure out who the killer is before he strikes again, it becomes clear that over the course of a hundred years all four assassins were secretly working together. But what was their purpose? Who do they work for? And why are they planning to kill the current president? Beecher is about to find out as he comes face-to-face with THE FIFTH ASSASSIN. Thanks all. And looking forward to seeing you. Coming with decoder rings. And congrats, Hank! Congrats, Hank!!!!! I just saw the nominations--so thrilled for you! And Brad, thanks for being here. Such an interesting premise for the book. I grew up in Dallas, in the shadow of the Kennedy assassination, and would you believe I've never been to the Dealy Museum? I think for many Dallasites, we felt it so personally, as if we were somehow responsible. Not a rational reaction, but an emotional one. I was home sick from school that day and saw it all unfold on television. My husband was there--his parents had taken him to see the motorcade. Great interview and the behind-the-scenes look. And congrats to Hank! Brad, what do you know now, that you wished you had known 10 years ago or 15 years ago about writing books that would have made it easier for you? I am in awe of your research -- how do you pull the plug and start the writing instead of staying in the depths of all that you find? Looking forward to reading THE FIFTH ASSASSIN. Brad, love watching your show--so many interesting points and viewpoints to titillate the imagination. To echo Kaye, I'm a huge fan, and hopeiwin, hopeiwin, hopeiwin! Congrats Hank. Looking forward to read another good book!! Brad, I'm in awe of your research skills. I cannot WAIT to start reading this. I have been deep into writing and family issues and will save this as the great reward for getting a lot done! Wonderful interview, thank you so much for doing it. Congratulations, Hank, on you nomination! Yup, yup, he's on it! He's on a wild non-stop media tour in DC...and is trying to come visit soon! Well we love him and will be here waiting--Kendall and I.
Wow, this is definitely a book I'd love to read. Did the unsuccessful want-to-be-assasins fit into the "hunter" profile as well? 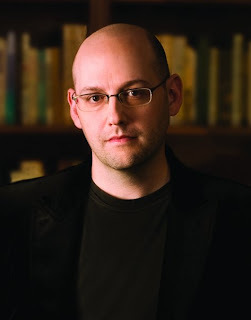 Definitely a fan of Brad Meltzer, and I have to say that this interview was lots of fun! I agree with you, though. If someone comes at you with the Holy Grail, definitely run the other way. Can't say I've had that happen to me, but at least now I know what to do if it does. As for a question: what's your most memorable moment as a writer? Was it a book? A fan? Something completely offbeat? You mentioned a lot of great things that happened to you--I'd love to know what one memory you'll take with you forever from your career, so far. So, so psyched. I want to rush through the book I'm reading so I can dive into (dive onto??) THE FIFTH ASSASSIN. I'm always amazed at Brad's ability to get access all sorts of secret places and share all sorts of secret info. I'm also psyched because I've never met Brad before, but I'll see him and Reds Hallie and Hank at the Big Book Club Getaway at the Mohegan Sun Casino on Feb. 1 and 2. I see that I'm not the only one who wonders how you know when you can stop the research and begin to write. The topic of this latest book fascinates me, and I will need to read it. (So I need to winwinwin:-) And I will need to read whatever preceded it. Well, as my Dad would have said W.O.W. Of course I'm impressed with the 24 out of 20 rejections. Who wouldn't be, but Brad's opportunities for research! Shoot, if someone shared a brain with me, I'm thinking I could become an instant dipsomaniac. And my defense, I needed it more than they did. Had the opportunity to hear Brad on the Brian Kilmeade radio show, and in addition to being entranced by The Fifth Assassin, I am impressed by the two Hero books he wrote for his son and daughter. And Brad, I'm really looking forward to reading your latest after reading about the research. The book sounds interesting. I caught an episode of DECODED yesterday. I learned something about Georgia I didn't know. I don't think he's coming back, Kendall. I think he's interviewing President Obama. Maybe there's another secret staircase? Brad truly is one of the nicest authors I ever had the pleasure of interviewing. Of course, when I called him, Cori had answered the phone and they just had a pizza delivered for dinner, but he spoke with me while his dinner got cold. I mean really---how many authors give you their phone number to do an interview? It meant a lot to me and I'll always treasure that kindness. I love all your books, Brad, but I wish you'd write another legal thriller. Do you plan any? Thanks! Brad, thank you for sharing your research and writing. You are an inspiration. What is your writing schedule like? Do you write on a daily basis? Brad says! Sorry he was so crazed yesterday--a full day of media events! To the question: I am in awe of your research -- how do you pull the plug and start the writing instead of staying in the depths of all that you find? He says: Eventually you have to know: if you stay in the research too long, you'll never write. Brad says: Don't let anyone tell you No. And listen to your characters. They'll tell you want to do. And the winners of Brad's books are! and send me your address! I love Brad's books: Heroes for my Son...and Heroes for my Daughter!!! !